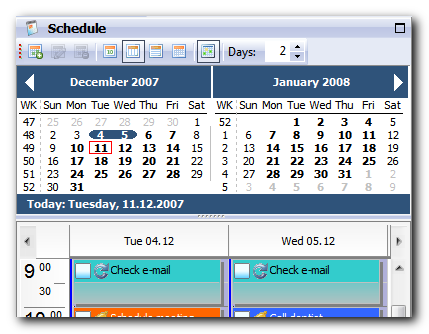 Intuitive and powerful freeware PIM - to-do management and calendar software. 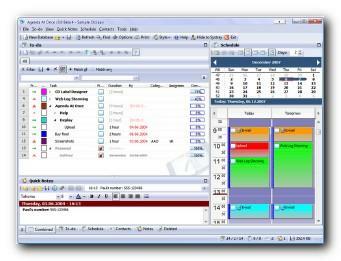 Agenda At Once Free PIM combines the best aspects of other personal organizer applications. 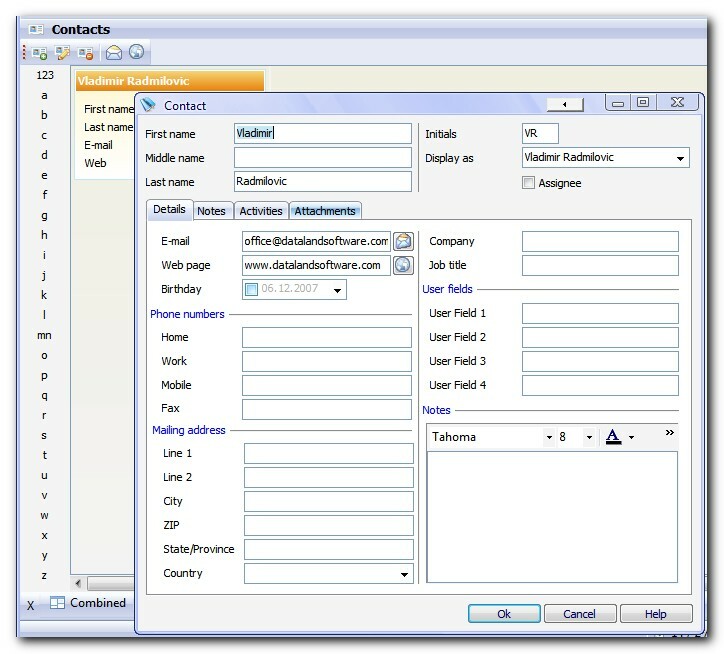 It's a complete PIM system, integrating to-do management, scheduling and planning, contact and note functions. With its optimally-designed interface, Agenda At Once Free PIM will rapidly put you in charge of your - or your team's - personal information. You'll be saving time and accomplishing so much more that you'll be wondering how you even managed without it. 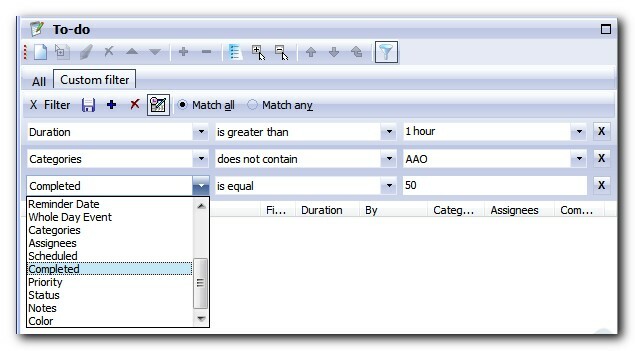 Click the icon to display the relevant topic from the help file. 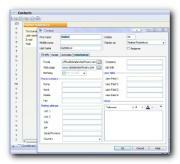 Personal information management (PIM) software is all about time-management: it is supposed to save you time. 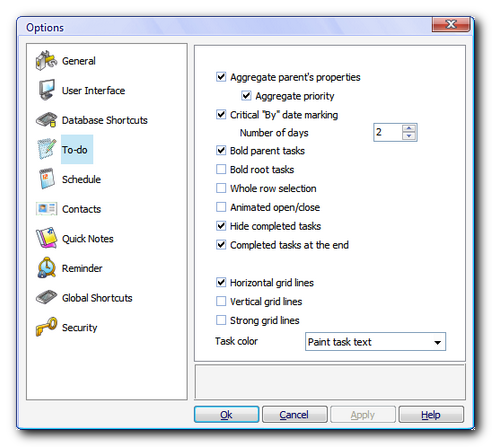 When we developed version 1 of Agenda At Once, ease-of-use was our primary design goal. 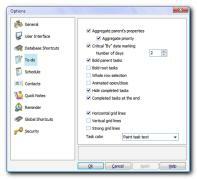 With each new version, although we've added new features to make Agenda At Once a mature and feature-packed application, its ease-of-use hasn't been compromised. 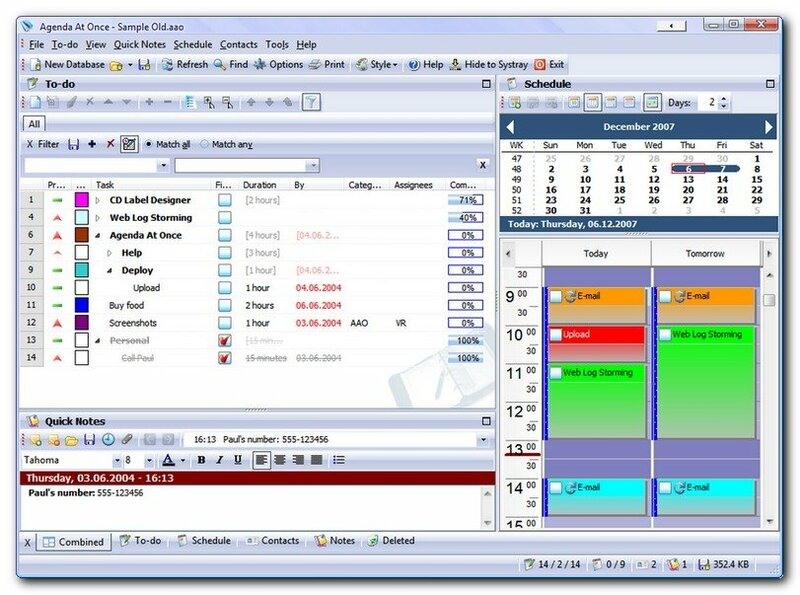 Agenda At Once integrates to-do management, scheduling, planning, contact and note functions in one intuitive, combined view. 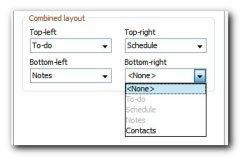 It also allows you to focus in on any one of these functions with its configurable 'panes' interface. Agenda At Once will support whichever way you prefer to work. For more info browse online help, Download for free or contact us directly. 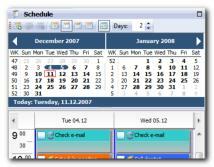 Agenda At Once requires a PC with Microsoft Windows™ 98SE, 2000, XP, Vista, Windows 7, Windows 8.